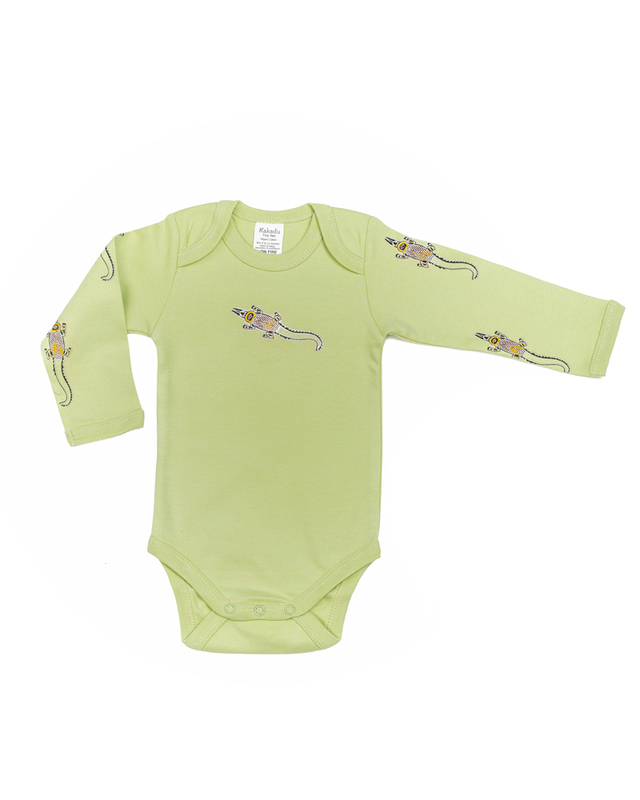 This long sleeved Crocodile piece showcases the talents of our artist, Dale Austin. 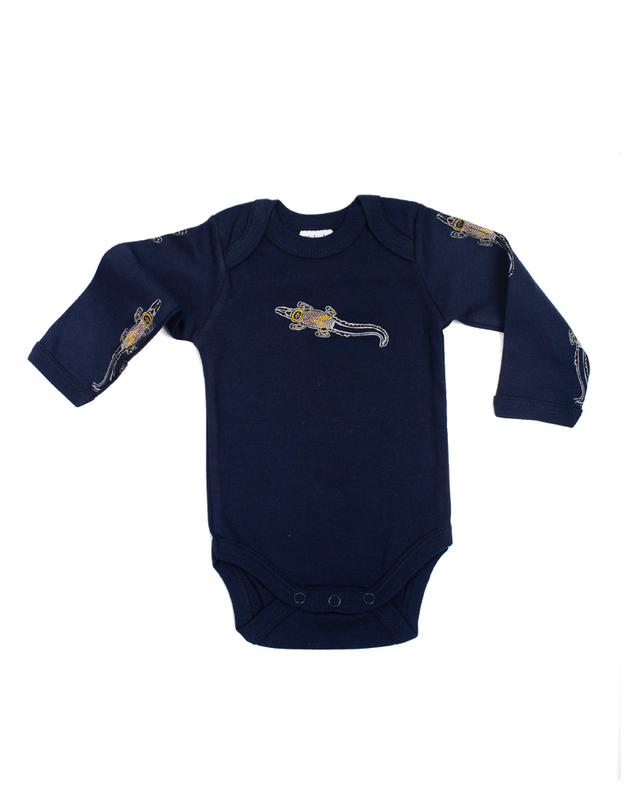 TheCroc has been designed in the Northern Territory and is proving a very popular addition to the Kakadu Tiny Tots range. 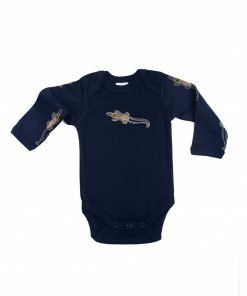 The unique colour choice of Khaki, Navy and Grey was due not only to popular demand but listening to many Mum’s to provide more of a unique colour choices for parents and those wanting that beautiful gift.